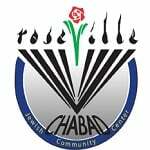 Registration - Chabad of Placer County, Where every Jew is Family! A $35 registration/t-shirt fee will be applied per child. I am signing up my child for camp. I give my child permission to attend all trips and receive medical care in the case of emergency, G-d forbid. I give Gan Israel permission to photograph and videotape my children and use the photos and videos (without their names) for whatever the camp sees fit.